It’s essential to prepare your hands and nails before applying nail polish. First, exfoliate your hands by massaging them using a small amount of body scrub. Rinse with water and dry carefully. One of the main causes of chapped hands is not drying them properly after washing. File your nails. If they are brittle or tend to split, keep them flat across the top with smooth, rounded edges. When filing, move in one direction, from outer corner to centre-sawing movements can damage the nail cover. Choose a nail file with a fine surface that glides over the nail. Coat hands in a layer of sweet almond oil, to support and soften, then wrap in a warm towel and relax for 15 minutes. Unwrap, and gently push back cuticles using a rubber hoof stick (available from most chemists). Never use cuticle clippers, as they can cut the skin. Rinse hands with warm water and dry thoroughly to remove any excess oil. 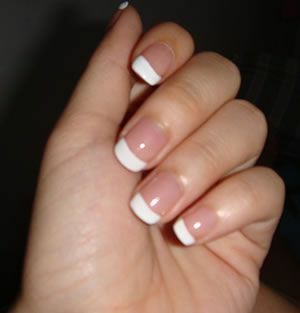 Apply one coat of base coat over your entire nail and allow a couple of minutes to dry. This will help strengthen the nail. Some products also level fine ridges and imperfections, leaving a smooth surface to apply polish. There’s a wide range of base coats to choose from.